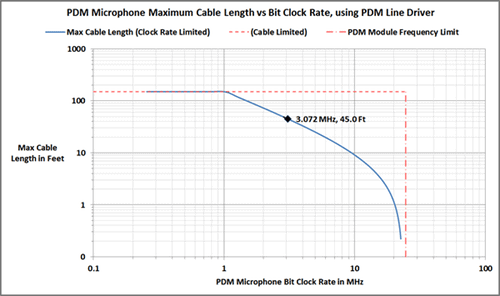 Audio Precision’s PDM Line Driver solves a key problem encountered when testing PDM MEMS (Micro Electro-Mechanical Systems) microphones: the distance between the DUT (deviced under test) and the analyzer itself. PDM data is one-bit oversampled audio, most commonly employing an oversampling factor of 64. This means that in order to represent the performance of a PCM audio system with a 48 kHz sample rate, many digital MEMS microphones employ a sample rate of 48 kHz x 64 = 3.072 MHz. The low-power, current-limited design of MEMS devices means that this high-frequency signal can suffer severe degradation due to cable capacitance in many test bench configurations, especially where the DUT must be a substantial distance—1 meter or more—from the analyzer. 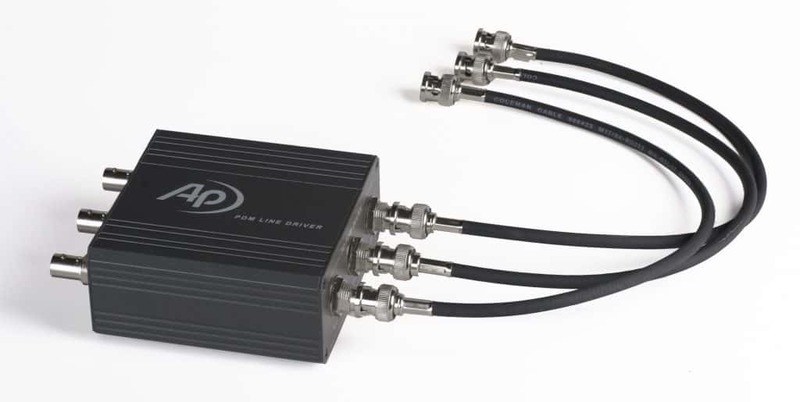 The AP PDM Line Driver provides a buffer for the PDM audio data, allowing cable lengths of up to 45 ft (13.7 m) to be used between DUT and analyzer with no loss or alteration of the digital signal. The Audio Precision PDM Line Driver provides a buffer for the PDM audio data, allowing cable lengths of up to 45 ft (13.7 m) to be used between DUT and analyzer with no loss or alteration of the digital signal, as illustrated in the chart below.